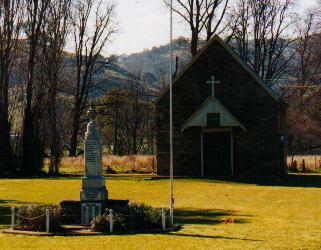 Situated around five kms from Tumbarumba New South Wales. Grave D.D.14. 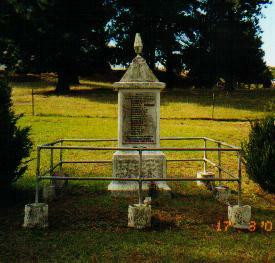 On Roll of Honour, Yass, NSW. BLISS, Private, GEORGE LEONARD FARRELL, N244163. A.C.M.F. 3 Bn. Rebecca Bliss (nee Privett), of Yass, New South Wales. C7. E. 10.
convict, was granted when given a Ticket of Leave in 1839. Kokoda. He was amongst A.I.F. returned volunteers. he was used to using a gun.